Springtime Bunny Hunt– Find the bunny and win prizes!!! OregonPatchWorks is running a “Springtime Bunny Hunt” contest for the embroidery lovers. In this contest, you’ve to search bunnies and share their set names and URLs with us. By doing so, you win FREE designs! The contest will run through April 30, 2017. 1. Please read the instructions thoroughly before taking part in the contest. There are a total of 96 bunnies on the mall, one in each store. 2. You can start HERE. This page contains all the 96 store links. Click a link, which takes you to the store’s index page. Click the thumbnails on the index page and search for the bunny, which is hidden on one of the pages for that store. 3. When you find a bunny, copy and paste the set’s name and its URL in the Designer List form. Prize #1: Find 1-15 bunnies and get a free bonus design. The design will be emailed to you and will take 7-10 days for processing. Prize #2: Find 16-50 bunnies: Choose and get a FREE SAMPLER (no purchase necessary) including Prize #1! Prize #3: Find 51-95 bunnies: Get a free set from the FREE SET LIST along with Prize #1 and Prize #2! IMPORTANT: DO NOT PUT THE FREE SET IN THE SHOPPING CART. Prize #4: Find all 96 bunnies: Choose a FREE archive from HERE along with Prize #1, Prize #2, and Prize #3! You’ll get it all. 5. Once you complete Designer List form, email it to us before April 30, 2017. 6. Do not share answers with other contestants. 7. Only one participant can take part per household. 8. One person can make only one entry. 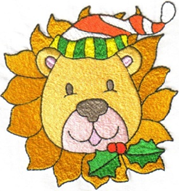 Looking for free embroidery designs to enhance your home décor, clothes, tote bags etc? Let us help you out! 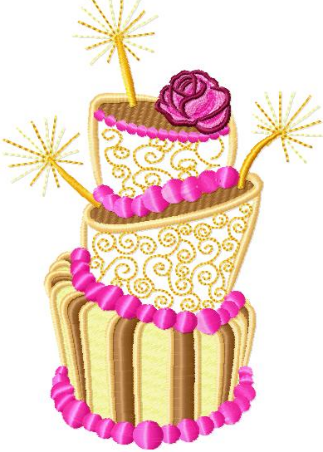 Just click on the image below and begin downloading free embroidery designs from the OPW Mall. You can also visit most of the designers’ stores just by clicking on the names of designers to find more fantastic embroidery patterns and great offers by each designer. 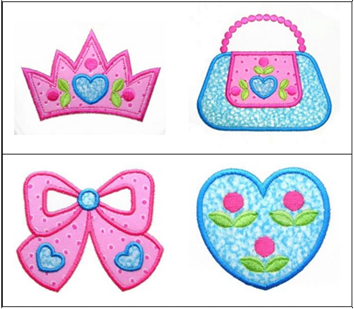 These embroidery machine designs available at OPW Mall are easy to stitch out and available for free. Download these free embroidery designs and many more today! 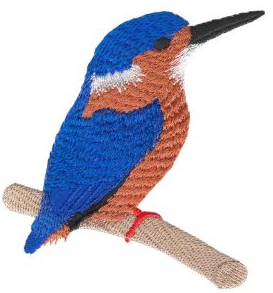 In addition to free designs, OPW Mall offers different types of Machine Embroidery Designs such as: Applique, Redwork, In-The-Hoop, Free Standing Lace, Cross Stitch, Filled, Colorwork, Cutwork, Satin Stitch and many more. The designs are available in different hoop sizes and file formats that will work with your machine. Take your time and choose from the designs on the link above. There are also free designs in the designers’ sections which can be access from the Main Embroidery Index. And you can sign up for our Newsletters, which give you access to Exclusive Free Designs, new ones are added every week! Don’t forget to BOOKMARK OregonPatchWorks.com for your easy reference later. Our designs have brought smiles to millions of people. They used our free designs to enhance their home décor and created unique and amazing projects for their loved ones. Give us an opportunity to put a smile on your face as well. Visit OPW Mall today! Find free and best machine embroidery patterns at reasonable prices when you shop at The OPW Mall, where YOU are always #1. Free machine embroidery designs are becoming harder to find on the internet, as most of the embroidery stores do not choose to offer their designs for free. But at OPW Mall, you can get a wide a variety of high quality free machine embroidery designs, with new free samples added weekly! All you need to do is to sign up for the OPW Mall’s Newsletter, which gives you access to them and much more. 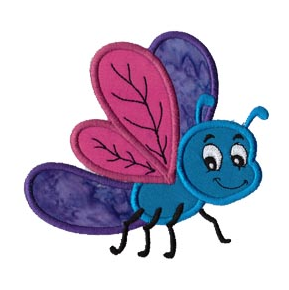 Once you are registered, you just log in and claim your free embroidery designs! Here are the steps to sign up for our Newsletter and exclusive free designs. First, take a moment to put support@oregonpatchworks.com in your address book so the confirmation email we will be sending you does not get caught in a spam filter. Then visit OPW website. 2. Click on Signup for Newsletter button in the left column. 4. Choose the “subscription type” and click on the “Submit” button. 5. You’ll get a confirmation email sent to the email address you have registered with. 6. When you get the confirmation email, confirm your subscription by clicking on “Please click here to confirm your subscription.” If you do not get it, email us at support@oregonpatchworks.com with “reset MOC” in the subject line. 7. Once you click the link in the confirmation email, you are registered and can Login to download free designs, tutorials and more! 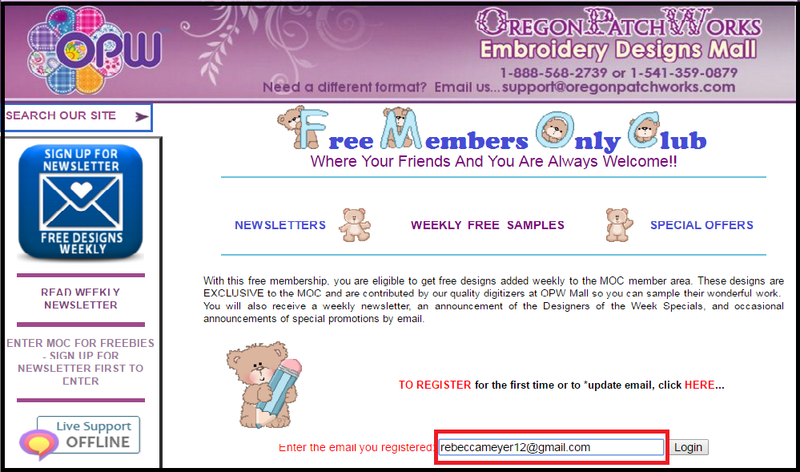 Now you’re a free member of Members Only Club (MOC) and eligible to download the many free embroidery designs in the MOC area. We update our free members’ area weekly and announce exclusive samples, weekly special designer’s work, new machine embroidery designs, tutorials and games, etc. We always keep you informed with latest weekly updates and special promotions via our Newsletter. So, sign up for our Newsletter now and download free embroidery designs at OPW Mall today! Below are just a few of the designs you can download for free after signing up at OPW Mall, Where your dreams become a reality…One stitch at a time! 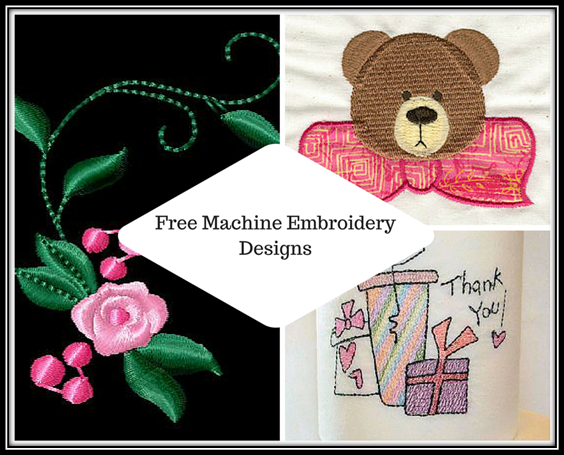 Looking for free machine embroidery designs to personalize your home items, clothes and more? Let us help you out. Just click on the links below and download the designs right from the OPW Mall’s gallery. You can also click the name of the digitizer (in the description) to visit their store in the mall, where you will find more free designs, fantastic embroidery patterns and great offers. The designs listed below are easy to stitch out and are available for free. Download these free embroidery designs today! 1). Flower Vase Embroidery Design – The stunning flower vase machine embroidery design is digitized by the designer “Erina’s Designs.” Use this free machine embroidery pattern to beautify your kid’s clothes, table runners, towels, home décor items, and linens, etc. 2) Embroidery Heart – The pleasing heart embroidery design by the designer “EMS Designs” is perfect for enhancing your cushion covers perfectly. You can also use these free embroidery patterns to enhance your quilts, bags, kid’s clothes, towels, and sweat shirts, etc. 3) Cute Fish Embroidery Design – This darling fish design by the designer “Heav’n Sent Creations” is perfect to decorate your kid’s towels, clothes, cushions, and bags, etc. 4) Adorable Teddy– This cute teddy design by the designer “Zari’s Embroidery Delights” is perfect for decorating your kid’s room. You can also use this design to beautify their cushions, clothes, quilts, bed sheets, towels, and bags, etc. 5) Pretty Poinsettia design – This pretty design is digitized by the designer “Lizanne-Creations”. Use this free floral embroidery design to decorate your home décor items, towels, table runners, and linens, etc. Our designs have brought smiles to millions of peoples’ faces when they use them to enhance their home décor and decorate projects for friends and family. Let us take this opportunity to invite you to visit us and put a smile on your face as well. Find free and premium embroidery designs at affordable prices when you shop at The OPW Mall, where your dreams become a reality, one stitch at a time! Starting a new embroidery project can be a big challenge unless you have someone to help you throughout the process. Here are 10 machine embroidery tips that will help you enjoy the process. Relax – You have invested in an embroidery machine and all the supplies that you need for your project. Being nervous is understandable, but if you take it one step at a time, you will do fine. Keep in mind that mistakes are natural and they offer you more opportunities for learning. 2. Grow – Learning is a continuous process. The further you explore your craft, the more understanding you will get of how to make things work well together. Try to research online often about your type of art project. You might be surprised at how much information is available and what you can learn from the experience of others. 3. Take Your Time – You must practice in order to perfect a design style or pattern. Allow yourself to spend more time reading, practicing or taking craft classes. There are some amazing tutorials available on YouTube which will help you progress in technique and style. Practicing often can help you improve your machine embroidery skills and will pay off in the long run. 4. Start Small – If you are new to machine embroidery, it’s beneficial for you to start with a small project. Start with something easy, then when you have mastered it, proceed to more challenging tasks. When you are a beginner, a large complicated project can be overwhelming and cause you to lose confidence. 5. Take Notes – Prepare your own notes to help you master future machine embroidery projects. Get a notebook, binder or a journal and start keeping notes of all your projects. Document everything; fabric, the type of stabilizer, thread types and their colors, any machine adjustments made by you and anything else that may help you to improve your results next time. It is also helpful to include photos for reference. 6. Be Frugal – Don’t buy into every gimmick and gadget out there – It’s easy to spend a lot of money on unnecessary things when you are excited about a new hobby. But all you need to get started with your project is an embroidery/sewing machine, scissors, stabilizer, fabric, thread, machine embroidery designs and a creative mind. So do some research on the things you really need before investing in the extras. 7. Get Organized – Being organized in your work area offers you more productive time in the long run. It is ideal to have a separate area set aside for your crafting, but you can fit in your hobby in small spaces with some careful planning. Take advantage of the great space saving modules now available and repurpose common household items. 8. Test Stitch – A good design heavily depends upon proper stabilizing for the type of fabric used, good quality thread, and sharp, new needles. It’s possible the same design will stitch out in a different way than you expect. The design file may get corrupt during conversion or it may require special handling or stabilizer. To avoid wasting time and materials, get into the habit of test stitching on a similar fabric/stabilizer before starting your actual project. You can use the test stitches later for quilt squares as donations to a good cause. 9. Be Fearless – Don’t be afraid to try something new. Explore new design styles and techniques once you gain some experience. You can try different designs like cutwork, applique, 3D, and freestanding lace designs, to name a few. There is no end to the creativity you can tap into once you get started! 10. Show Off a Little – Once you have completed your project, wear it… share it… display it! You have worked hard to create a one of a kind, quality craft item, get excited and share your new found love with others. It is satisfying and fun to share the fruits of your labor with others. We hope you have enjoyed these simple tips to help you get started. Get ready, get set, GO! For machine embroidery patterns, including many free samples, checkout The OPW Mall, where YOU are always #1 ! My little family of three is staying with my father-in-law while our household goods make the slow trek from Greece to California. Over the years, this has been the norm, but it is much different this time because my mother-in-law is no longer here to run the household. That now falls to me. While I’ve cooked in this kitchen off and on for 25 years, it is so different now actually doing instead of just helping. I find that even my tried-and-true recipes aren’t turning out the same. Very strange. I’ve begun making notes on my computer so that I’ll have some idea of what I’m doing right or wrong. Luckily, I won’t be in charge of holiday meals this year! I have similar problems in Best machine embroidery. I’m rarely satisfied to leave things exactly as the designer suggests or the embroidery patterns insist on. Of course, sometimes I just understand they my machine will be happier if certain adjustments are made. As long as I think things through before making changes, all is usually well. Of course, these are intentional changes and not the weird, unidentifiable ones happening in the kitchen. There are several things that can go wrong, though. If I set up a design to stitch over a pocket, I may have to adjust the machine to center the embroidery design exactly where I want it. I love that I can do this. However, what happens if the power goes out? Instead of panicking, this is actually the easiest problem to recover from IF I haven’t skipped a step. What is this miracle step? I simply write down the adjustments I made to the embroidery machine before starting. That makes it possible to re position the machine to exactly where I started the first time before advancing to the area where I need to continue stitching. I even note it when I’ve made no adjustments so that I am never confused. Then, there are those very in-depth machine embroidery patterns for things like cutwork embroidery doilies or free-standing lace 3D boxes. I don’t make any changes to the actual embroidery designs, but I may change what I do to create them. If they don’t turn out, I can try again. If they do turn out, though, I’ve got a winner that I’ll stitch over and over again. IF, that is, I didn’t skip that magic step. For example, if I modify a project so that my doily comes out to a different size than the embroidery pattern specifies, I need to make extensive notes and keep them somewhere safe so that they are there if I ever want to recreate the project. No notes? No easy way to recreate it. Machine embroidery thread also comes in so many wonderful colors; if I don’t make notes about those I chose, I can’t color-match properly. Sure, I’d much rather just be stitching, but these extra steps keep my embroidery humming along once I do get started. Now, if I could only figure out what I’m doing in this kitchen and have my notes be as helpful, I’d be happy!